David George Hogarth, CMG, FRGS, FBA (23 May 1862 – 6 November 1927), also known as D. G. Hogarth, was a British archaeologist and scholar associated with T. E. Lawrence and Arthur Evans. He was Keeper of the Ashmolean Museum, Oxford from 1909 to 1927. Hogarth was commissioned into the Royal Naval Volunteer Reserve during the First World War, and served with the Naval Intelligence Division. During 1916, he was the acting director of the Arab Bureau, and was later responsible for delivering the Hogarth message. D. G. Hogarth was the son of Reverend George Hogarth, Vicar of Barton-upon-Humber, and Jane Elizabeth (Uppleby) Hogarth. He had a sister three years younger, Janet E. Courtney, an author and feminist. In one of his autobiographical works, Hogarth claimed to be an antiquary who was made so, rather than born to it. He said, "nothing disposed me to my trade in early years." Those years included a secondary education, 1876–1880, at Winchester College, which claims to be, and was labelled by Hogarth as, "our oldest Public School." In October 1881, Hogarth matriculated into Magdalen College, Oxford to study Literae Humaniores. He achieved first class honours in both Mods (1882) and Greats (1885). He graduated with a Bachelor of Arts (BA) degree in 1885: as per tradition, his BA was promoted to a Master of Arts (MA Oxon) degree. In 1886, Hogarth was elected a Fellow of Magdalen College, Oxford. Between 1887 and 1907, he travelled to excavations in Cyprus, Crete, Egypt, Syria, Melos, and Ephesus (the Temple of Artemis). On the island of Crete, he excavated Zakros and Psychro Cave. Hogarth was named director of the British School at Athens in 1897 and occupied the position until 1900. He was the keeper of the Ashmolean Museum in Oxford from 1909 until his death in 1927. 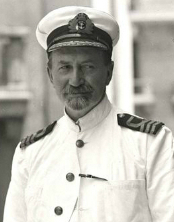 In 1915, during the First World War, Hogarth was commissioned with the temporary rank of lieutenant commander in the Royal Naval Volunteer Reserve and joined the Geographical Section of the Naval Intelligence Division. Professor Hogarth was appointed the acting director of the Arab Bureau, for a time during 1916 when Sir Mark Sykes went back to London. Kinahan Cornwallis was his deputy. Hogarth was close with T. E. Lawrence and worked with Lawrence to plan the Arab Revolt. Sykes befriended Hogarth, who had described India Government as believing they had a moral imperative to the British Raj as the best form of government and could not fail in their duty to impose it on a Province of Mesopotamia. The Arabists rejected this proposal vehemently; Sykes taking Hogarth's research as evidence of the uniquely different situation in the protectorate. The archaeologists knew it was clear that the Raj had no understanding of the different conditions, that there needed to be a specific "Arab Policy" for what had become a frontier of empire. Hogarth returned to Oxford and the Ashmolean Museum in June 1919. From 1925 to 1927 he was President of the Royal Geographical Society. On 7 November 1894, Hogarth married Laura Violet Uppleby, daughter of George Charles Uppleby. His wife and mother shared a common great great grandfather, one John Uppleby of Wootton, Lincolnshire. Laura Violet was 26 at the time; David George, 32. They had one son, William David Hogarth (1901–1965). In 1926, Hogarth's health began rapidly deteriorating due to a heart condition, and he was granted leave from Oxford in October 1927. He died on 6 November 1927 at his home in Oxford (20 St Giles' Street). He was aged 65. In 1896, Hogarth was elected a Fellow of the Royal Geographical Society (FRGS). In 1905, he was elected a Fellow of the British Academy (FBA), the United Kingdom's national academy for the humanities and social sciences. In 1917, he was made a Commander of the Order of the Nile by the Sultan of Egypt, and awarded the Gold Medal of the Royal Geographical Society. In the 1918 New Year Honours, he was appointed a Companion of the Order of St Michael and St George (CMG) for his efforts during the First World War. In 1919, he was awarded the Order of Nahda (Hejaz) 2nd class by Hussein bin Ali, Sharif of Mecca. Hogarth, David George (1889). Devia Cypria: notes of an archaeological journey in Cyprus in 1888. London: H. Frowde. —— (1896). The wandering scholar in the Levant (2nd ed.). London: J. Murray. —— (1897). Philip and Alexander of Macedon: two essays in biography. New York: C. Scribner's Sons. —— (1904). The penetration of Arabia : a record of the development of Western knowledge concerning the Arabian peninsula. London: Lawrence and Bullen. —— (1909). Ionia and the East; six lectures delivered before the University of London. Oxford: Clarendon Press. Forbes, Nevill; Toynbee, Arnold J.; Mitrany, D.; Hogarth, D. G. (1915). "Turkey". The Balkans: A History of Bulgaria, Serbia, Greece, Rumania, Turkey. Oxford: At the Clarendon Press. Retrieved 21 September 2018 – via Internet Archive. —— (1920). Hittite seals, with particular reference to the Ashmolean collection. Oxford: Clarendon Press. ^ Hogarth 1910, pp. 1–2. ^ a b c d e f g h Gill, David (7 January 2010). "Hogarth, David George". Oxford Dictionary of National Biography. Oxford University Press. doi:10.1093/ref:odnb/33924. ^ a b c d e "Hogarth, David George, (23 May 1862–6 Nov. 1927), Keeper of the Ashmolean Museum since 1909; President of the Royal Geographical Society since 1925". Hogarth, David George. Who Was Who. Oxford University Press. 1 December 2007. doi:10.1093/ww/9780199540884.013.U197973. ^ "HOGARTH, David George". Who's Who. Vol. 59. 1907. p. 855. ^ "BSA Managing Committee (1886-1918)". History of the British School at Athens. 2008-02-07. Retrieved 31 August 2016. ^ M, J. L. (1927) Dr. D. G. Hogarth, C.M.G M, J. L Nature Vol: 120 Issue: 3029 ISSN 0028-0836 Date: 1927 Pages: 735 – 737, "...By the unexpected death of Dr. David George Hogarth (6 Nov.), geography and archaeology lost briefly their most distinguished representatives in Great Britain ..."
^ "DEATH OF ARCHAEOLOGIST". The Brisbane Courier. Qld. : National Library of Australia. 8 November 1927. p. 15. Retrieved 2 May 2012. ^ "No. 29348". The London Gazette. 2 November 1915. p. 10763. ^ "The Penetration of Arabia: A Record of the Development of Western Knowledge Concerning the Arabian Peninsula". World Digital Library. 1904. Retrieved 24 September 2013. ^ Fletcher, C. R. L. (1928). "David George Hogarth". The Geographical Journal. JSTOR. 71 (4): 321–344. JSTOR 1782410. ^ A summary of the family connections of Hogarth and his wife is to be found, with sources, at "David George Hogarth". ancestry.com. 2011. ^ "No. 30451". The London Gazette (Supplement). 28 December 1917. p. 82. ^ Hall, H. R. (1910). "Review of Accidents of an Antiquary's Life by D. G. Hogarth". The Classical Review. 24 (6): 192–193. doi:10.1017/s0009840x00045364. Graves, Robert (1927). Lawrence and the Arabs. London: Jonathan Cape. M. J. L. (1927). "Dr. D. G. Hogarth, C.M.G". Nature. 120 (3029): 735–737. doi:10.1038/120735a0. Onley, James (2007). The Arabian Frontier of the British Raj. New York: Oxford University Press. Townshend, Charles (2010). When God Made Hell: The British Invasion of Mesopotamia and the Creation of Iraq 1914-1921. Faber and Faber. Wilson, Jeremy (1989). Lawrence of Arabia. Wikimedia Commons has media related to David George Hogarth. This page was last edited on 6 March 2019, at 07:54 (UTC).